We believe serving the community around us is one of the best ways we can share the love of God in tangible ways. At Pure Heart we ask the question, if tomorrow Pure Heart ceased to exist, would the community be impacted by our absence?  In both our local and global outreach we desire to LOVE MERCY and DO JUSTICE based on Micah 6:8. We desire to fulfill Christ’s commands to clothe the naked and feed the hungry – this is Loving Mercy. We believe God does not call us to stop there, but to also Do Justice, by providing the right tools to empower individuals and communities to climb out of poverty. We believe that whatever we do must also be a balance of meeting both physical and spiritual needs. Twice a year we serve at our schools and in our community. We send teams out from the church to help with cleaning, landscaping, painting, etc. to show Christ’s love to them. We have built relationship with 10 schools in the Washington Elementary School District and 2 schools in the Peoria Unified School District that we serve on an ongoing basis. We support these schools with school supply drives, painting and service projects, classroom and office volunteering, and referrals for food services at our Food Pantry, as well as additional support from our Resource Center. School Connect exists to connect faith communities and businesses to adopt local schools in mutually beneficial partnerships. We host a yearly School Connect Summit, train churches and community partners how to adopt schools and lead the Love Our Schools Day Initiative. Service Opportunities: Through out the year our Local Outreach Ministry hosts School Drives, Family to Family Thanksgiving, Christmas Toy Store and the Washington Elementary/St. Mary’s Food Drive. Pure Heart operates a food pantry to provide assistance to families in our church and within our community. The ministry depends on donations of dry goods and volunteers to assist guests with registration and preparing food boxes during the weekly outreaches. You may drop off you donation at the Missions Counter at any weekend service or at the church office during the week. Pure Heart is proud to make the Resource Center available to our church family and community members, offering assistance in job interview/resume skills, couponing, parenting, financial training, spiritual support and other life skills. We are also able to direct clients to additional resources available within our community. Project 1:27 is a ministry based on James 1:27 “Religion that God our Father accepts as pure and faultless is this: to look after orphans and widows in their distress…” Arizona has almost 19,000 children in the foster care system and approximately 2,400 of them are adoptable. Project 1:27 is committed to raising awareness of the needs of these children and ministering to foster and adoptive families through advocacy, education and support.